Pinwheel Cookies with purple sweet potato powder is on my home baked gift list for 2018 festive season. 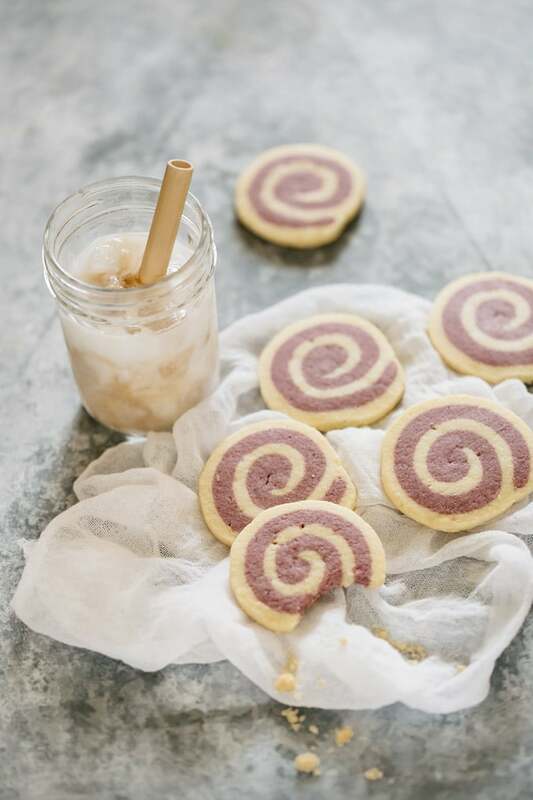 This is because the pinwheel created on this cookie by the purple sweet potato, resembles Naruto whirlpools of Naruto Straits in Japan. 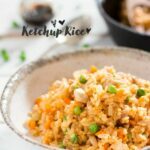 This is just like naruto fish cake in any Ramen noodle bowls. 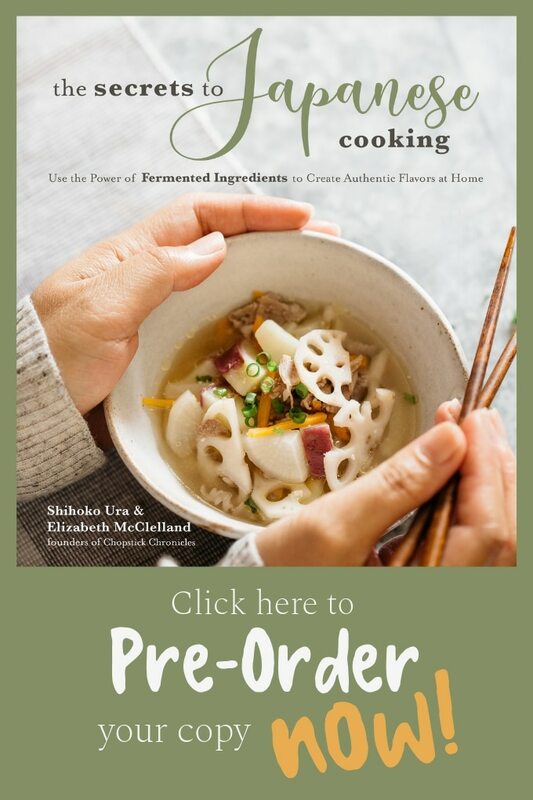 I know any cookies are not authentically and traditionally Japanese food. 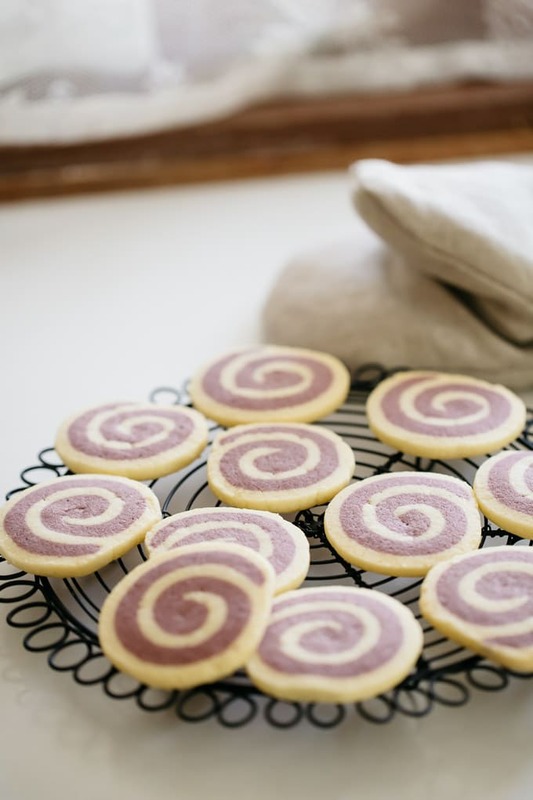 However, the whirl created by the purple sweet potato powder in the cookies reminds me of Naruto whirlpool of Naruto Straits between Awaji island and Shikoku island. 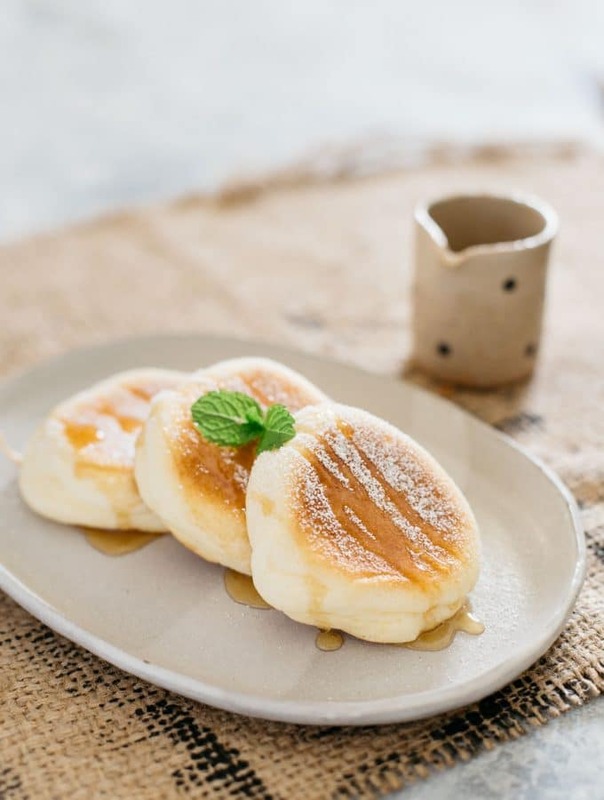 That I call these cookies Japanese. 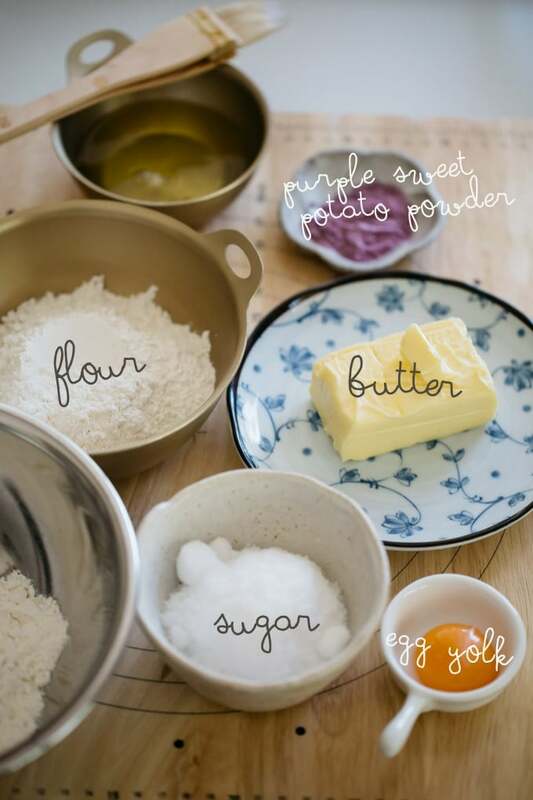 Yes, only 5 ingredients-butter, egg yolk, flour, sugar and purple sweet potato powder! Although, the one ingredient that may be difficult to access is the Purple Sweet Potato Fine Powder . 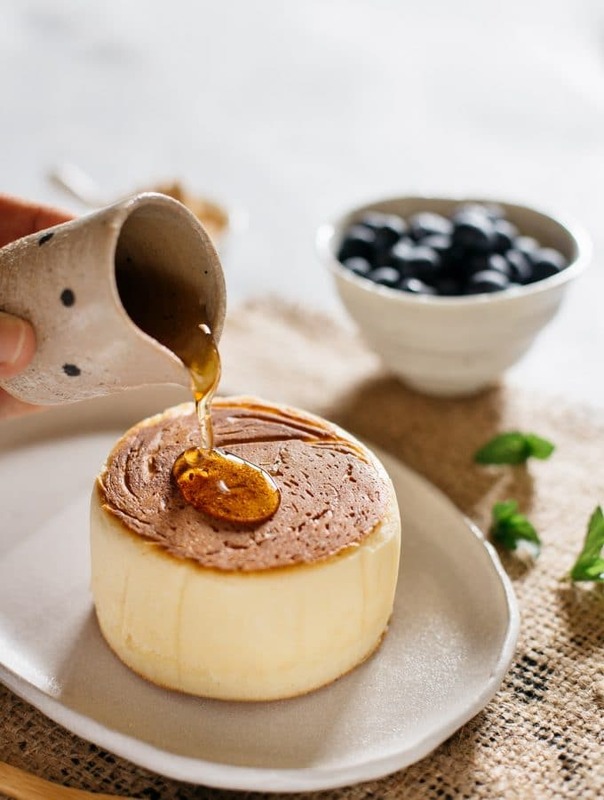 If you can not access the purple sweet potato powder, you can replace it with Matcha Green Tea Powder or cocoa powder. Roll out the two different coloured cookie dough same thickness evenly using two acrylic ruler. Place the dough between two acrylic and roll the rolling pin over the rulers. Now cut the purple sweet potato powder added cookie dough 1cm(o.4 inch) shorter than the plain cookie dough. After that, cut the edge straight then place the shorter dough on top of the longer dough leaving 5mm(0.2inch) at the both ends. Finally bake them at lower temperature for longer to avoid the cookie edge gets browned. 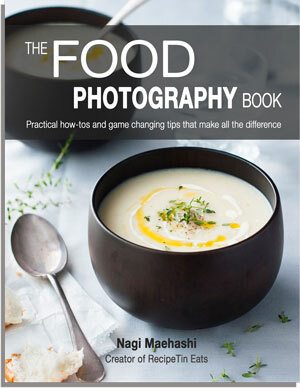 Everyone loves edible gifts at any festive seasons. 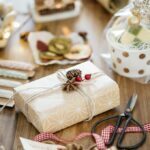 Do you do a cookie swap? This eye catching cute pinwheel cookie will make a perfect gift for this festive season and cookie swap. Here are my instructions for Pinwheel cookies. Above all, if you like it, please rate it and leave a comment or any questions below. 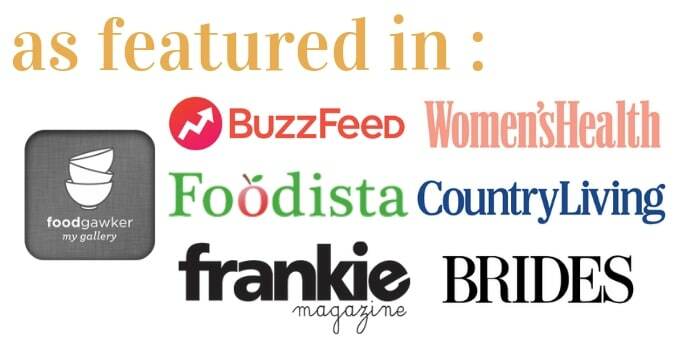 And don’t forget to check out my other Cookie recipes such as basic butter cookies,Matcha cookies and Matcha Black sesame cookies. 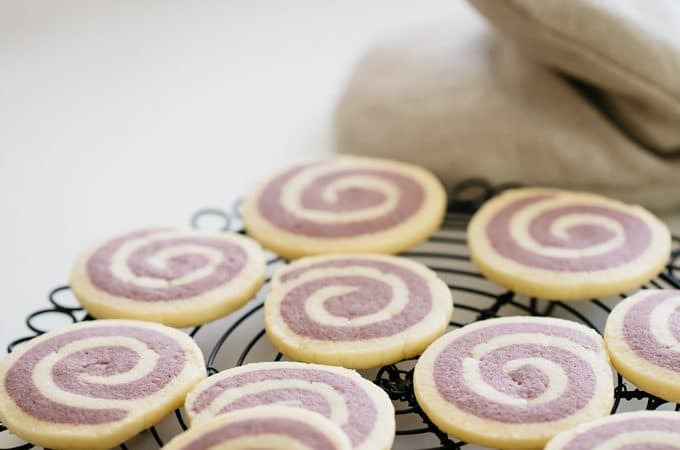 Pinwheel cookies recipe with purple sweet potato powder. 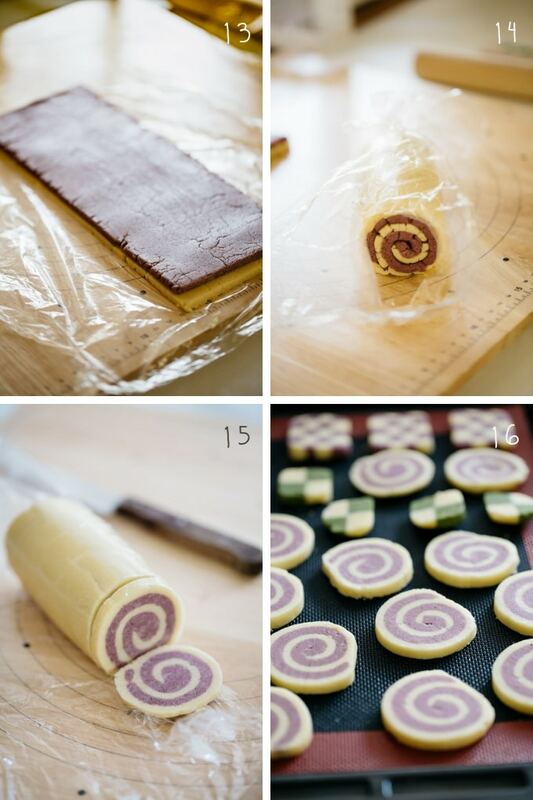 Including instructions how to create perfect whirl with step by step photos. Measure and sift 100 g of plain flour out of and set aside. Measure 90g of plain flour and 10g of purple sweet potato powder. Sift together and set aside. 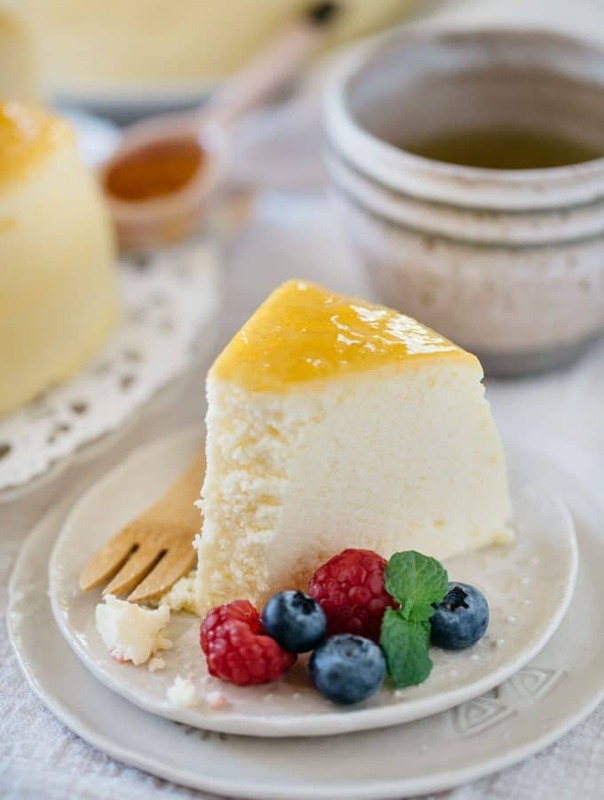 In the bowl of an electric mixer fitted with the whisk attachment, cream the butter and sugar until it becomes a white creamish colour. 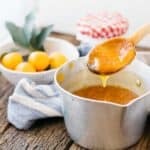 Add the egg yolk to the electric mixer and blend the egg yolk on low speed for a minute. Divide the creamed butter mixture into half. Leave half in the electric mixer bowl. 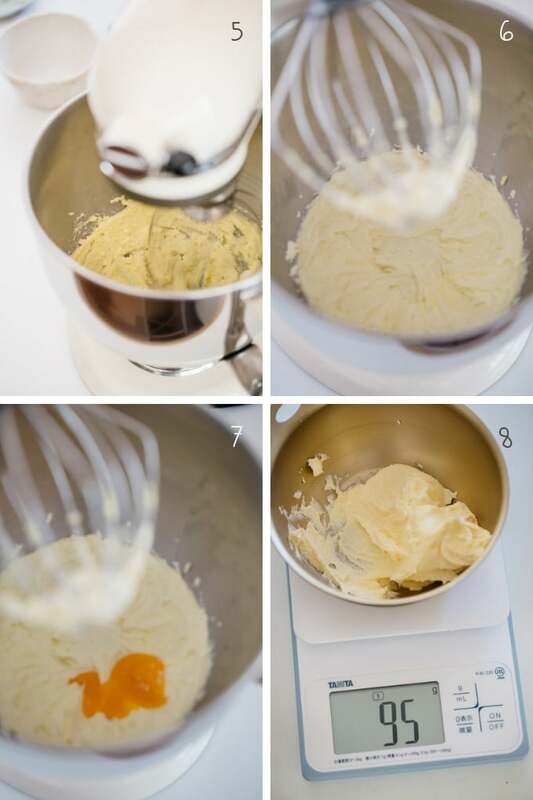 Change the attachment to a flat beater attachment and gradually add the 100g of plain flour with the mixer on low speed. When all the flour is combined and has become crumbly, take out the dough onto a sheet of cling wrap. Wrap the dough with the cling wrap and refrigerate for 30 minutes. Repeat step 7 for the remaining creamed butter and purple sweet potato powder combined flour. After 30 minutes rested in the fridge, take the doughs out and place the plain dough on a clean work surface. 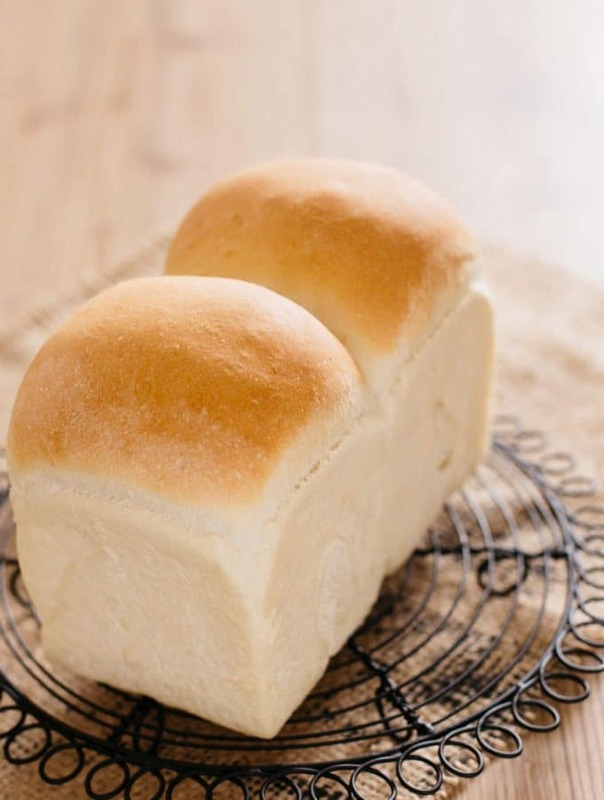 Roll the plain dough out to 10cm (3.9inch) wide and 5mm(0.2inch) thick between two 5mm(0.2 inch) thick board or ruler as the step by step photo indicate. 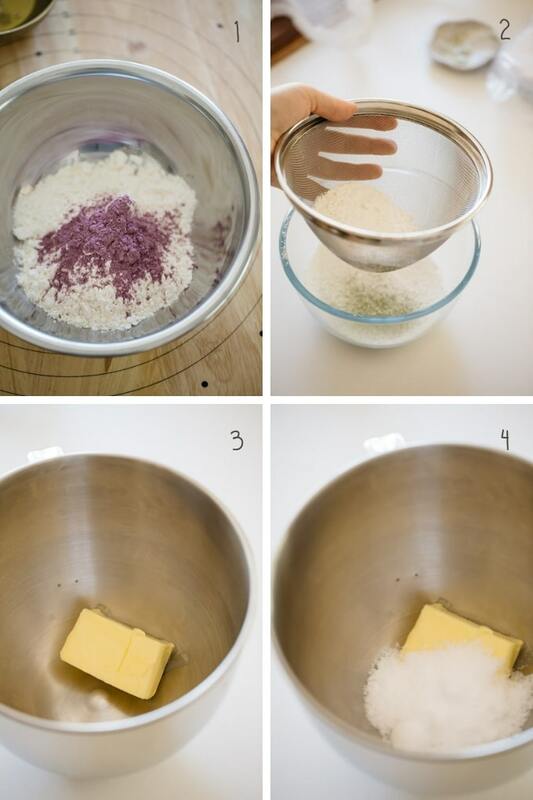 Roll out the purple sweet potato dough out to same width and thickness. Trim the both dough edge straight but the purple sweet potato dough 1cm (0.4 inch) shorter than the plain dough. 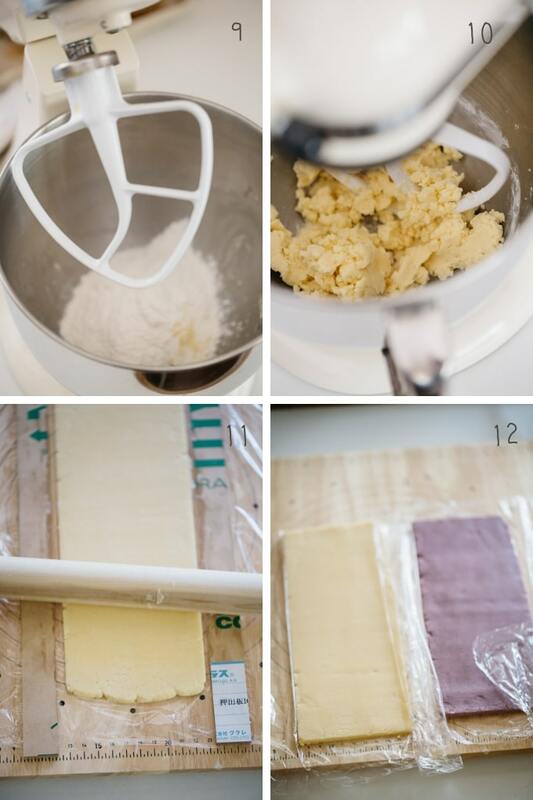 Place the purple sweet potato dough on the plain dough 5mm(0.2 inch) off the both ends. Roll the dough together and wrap with cling wrap. Rest the dough in the fridge for at least 2 hours. Take out the cookie dough from the fridge. Line a baking tray with a baking sheet. Slice it about 5mm(0.2 inch) thick and place on the baking tray. Put the baking tray into the oven and turn the temperature down to 150°C (302°C). Bake for 20 minutes. Remove baking tray from the oven and let the cookie cool on a cooling rack. *1 large egg weigh about 50g. *2 All together amount. 100 g used for plain colour dough, 90g used for purple colour dough. 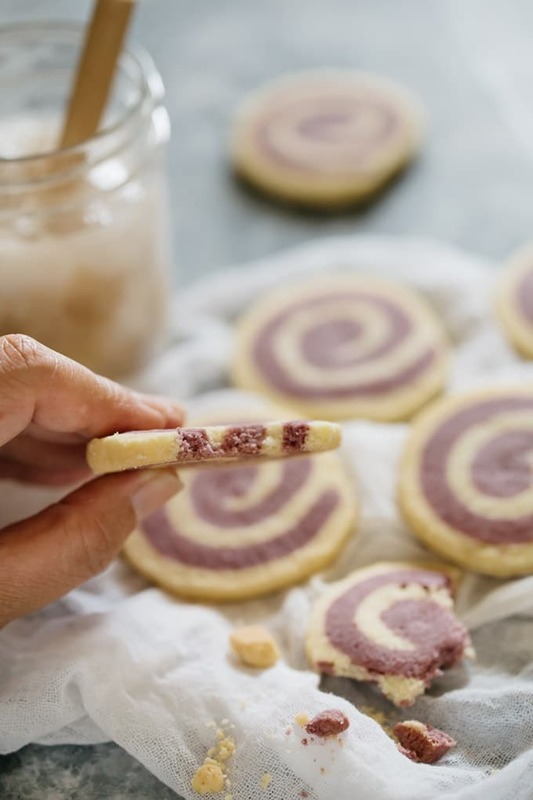 I’ve never made pinwheel cookies – but I’d love to try! They look amazing! And they’re so festive! I love the beautiful colors from the beet powder! So pretty! This is amazing cookies and Looking Nice ..